To the right is 'Dive' shot by Aleksandr Rodchenko, the Russian Consructivist ... its composition is still outside of the mainstream but in 1935 it was revolutionary! Beginning to understand exactly what it is about an image that draws you to it has given me a valuable insight into my own photography. Critiquing others has helped me to look at my own work in a much more objective way ... and it's a valuable lesson. In an era when so many of us are self taught it's important to discover that you can always learn more, that the way you see evolves, and that the photographs you took in your early days weren't quite as brilliant as you had first imagined! With everything else like painting, you start from nothing. And then you paint and if you get it wrong, paint over the top. Writing’s the same: if you don’t like it, cross it out. Photography’s the other way round. You start with a mess, and somehow you have to clarify that mess in a fraction of a second, that’s very difficult and most of the time you can’t do it. 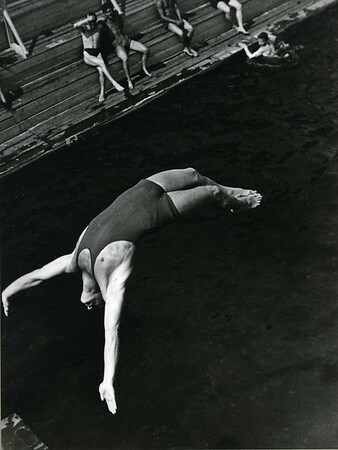 Take Cartier-Bresson, arguably the greatest photographer. Go through his contact sheets, maybe 10 contacts sheets, and there isn’t a picture marked up in that. These guys find it difficult. Perhaps that’s what makes it fun? With young people, they seem to think everything they take is great. But they really aren’t going to compete, because to do it well is very, very difficult. You’ve got to be incredibly self-critical."